Occupational safety is one of the under-the-radar majors offered at UW-Whitewater, but it shouldn’t be. Year after year, graduates of the program experience a strong employment rate, along with one of the highest paying entry-level salaries of all majors at UW-Whitewater. As a UW-W Safety graduate myself from several years ago, one of my personal recommendations for students looking for internships or their first job would be to spend the time up front on their resumes. I believe one of the most beneficial decisions I made as a student was to have Career & Leadership Development and the Safety faculty review my resume in advance. Make your resume uniquely and effectively different in terms of organization, layout, communication, relevance and substantive content that speaks to the job description. We are looking for students who can demonstrate that they have a strong work ethic. When reviewing resumes we are always looking for evidence that they are active in their education. Resumes should highlight past work experience, current GPA and coursework, and student or professional organizations. Review and have others review your resume before submitting. Resume presentation and interview performance are samples of how one presents oneself; this is a skill that will be needed many times in the Safety profession. During the interview, internship candidates should be prepared to provide examples that support their resume. We are looking for candidates that can demonstrate examples of problem solving, leadership, initiative, conflict management, and teamwork. A general understanding of the company and their product or service also goes a long way. During the interview, express energy, passion, initiative and a hunger to enter the Safety profession; be willing to do what it takes to succeed. These characteristics may be verbally and non-verbally communicated by tone of voice, mannerisms, confidence and conviction expressed during the interview. Lack of confidence during an interview can be a deal breaker. Know yourself well and practice interviewing so that you seem more sure of yourself. Demonstrate a balance of sincerity and conviction for Safety compliance, along with interpersonal toughness and resilience when getting employees to buy in to Safety procedures. I think the most important characteristic an aspiring Safety professional needs to have is being personable and relating to your coworkers. Knowing all the regulations and all the safety information in world won’t matter if you can’t build rapport and form relationships with your coworkers. 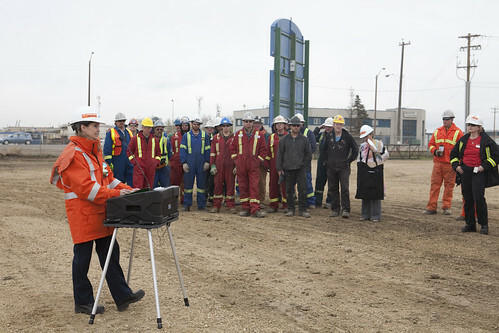 Aspiring Safety professionals must understand that in order to get coworkers and management to buy into safety, you have to explain why you need safety, how to work safely, and most important is asking for coworkers’ and management’s input on safety. People are more likely to do something that they suggested or helped develop. A Safety professional has to know how to deal with all different types of personalities and leverage those different styles to help move the safety program forward. Several employers seeking safety candidates attended the Hawk Career Fair on September 26. This semester and next, some employers will also be conducting interviews in Career & Leadership Development’s Bailey Interview Center for employment and internship opportunities in safety. To find out which employers will be interviewing, check Hawk Jobs for interview schedules and attached job and internship descriptions.Then, be prepared to impress the employers, based upon the tips that are provided above, and the research that you’ve conducted about them. Photo by N A I T.
This entry was posted in Majors & Careers and tagged advice, skills by Brian Bredeson. Bookmark the permalink.